The 4th of July vacation I had looked forward to for months has officially come to an end. Grills were lit. Ribs were grilled. Cakes were baked. Beers were consumed. Fun was had. And it was everything I hoped it would be. But as I said, back to reality. This workin’ girl’s only got so many vacation days, you know. Luckily there are still a few pieces of cake leftover from our 4th of July BBQ to help me transition back into work life. This cake, featured in the July issue of Bon Appetit, caught my eye immediately and I knew it’s what I wanted to make for the 4th. The original recipe called for blackberries, but I’m not the biggest fan of those so I used raspberries instead. You could probably also use blueberries or sliced strawberries if you really wanted to. Either way, this cake is an impressive-looking (and tasting) dessert that is pure summer perfection when enjoyed outside with a scoop of vanilla bean ice cream. Position a rack in middle of oven and preheat to 350 degrees. Butter a 9″-10″-diameter springform pan; line bottom with a round of parchment paper. Butter parchment. Dust with flour; tap out excess. Arrange berries in a single layer in bottom of pan; sprinkle evenly with 1/4 cup sugar. Sift 2 1/3 cups flour, baking powder, salt, and baking soda into a medium bowl; set aside. Using an electric mixer, beat 3/4 cup butter and remaining 1 1/3 cups sugar in a large bowl at medium-high speed, occasionally scraping down sides of bowl, until pale and fluffy, about 2 minutes. Add eggs, one at a time, beating well after each addition. Beat in vanilla and zest. Reduce speed to low; beat in flour mixture in 3 additions, alternating with buttermilk in 2 additions, beginning and ending with flour mixture and beating just until incorporated. Pour batter over berries in pan; smooth top. Bake until cake is golden brown and a tester inserted into the center comes out clean, about 1 hour 25 minutes. Let cool in pan set on a wire rack for 15 minutes, then run a thin, sharp knife around edge of pan to loosen. Remove pan sides. Invert cake onto rack and remove pan bottom; peel off parchment. Dust top generously with powdered sugar and let cool completely. This is so pretty! I just know my family would gobble this cake right up! Sounds fantastic and so beautiful too. 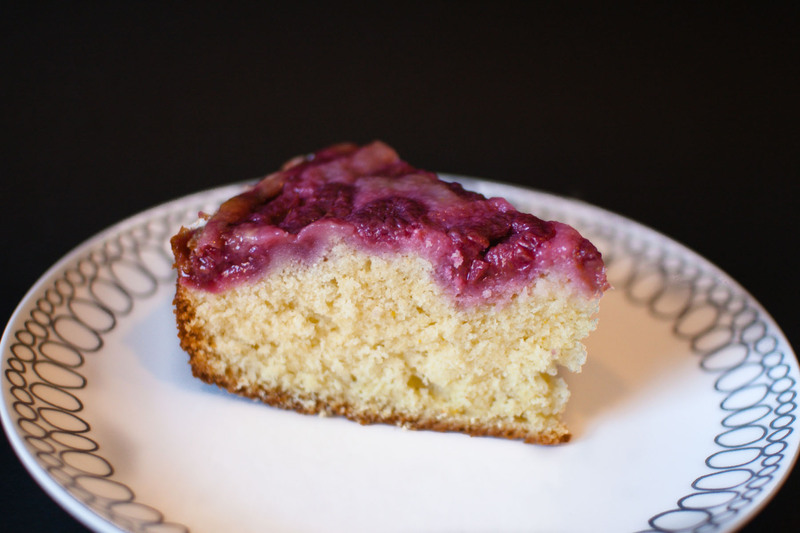 Berries and buttery cake are a perfect combination. Glad you enjoyed your time off! This looks awesome. Buttermilk ANYTHING is okay by me. I would imagine raspberries would work better here than the blackberries…blackberries can get really seedy when they’re cooked. This looks absolutely gorgeous! I can imagine all the “oohs” and “ahhs” she received at the party. 🙂 I’ve been looking for an easy and tasty cake recipe — this one might fit the bill! That cake looks AMAZING. 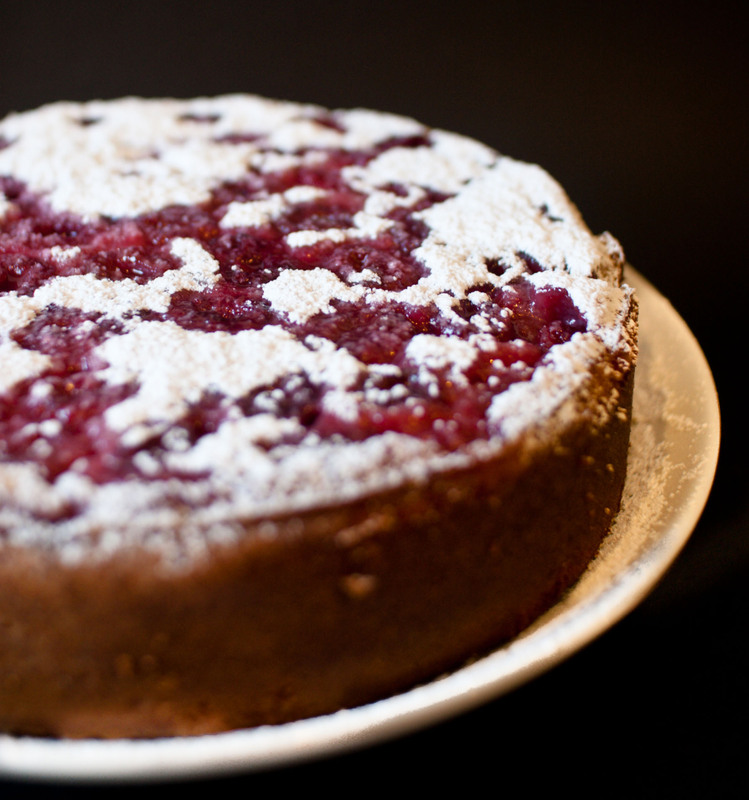 I’m not a big “berry” girl, so I’d probably just throw a little extra powdered sugar or a glaze on top… mmmmm…. Oh my goodness, this cake look amazing! I love the color, and recipe is fantastic!